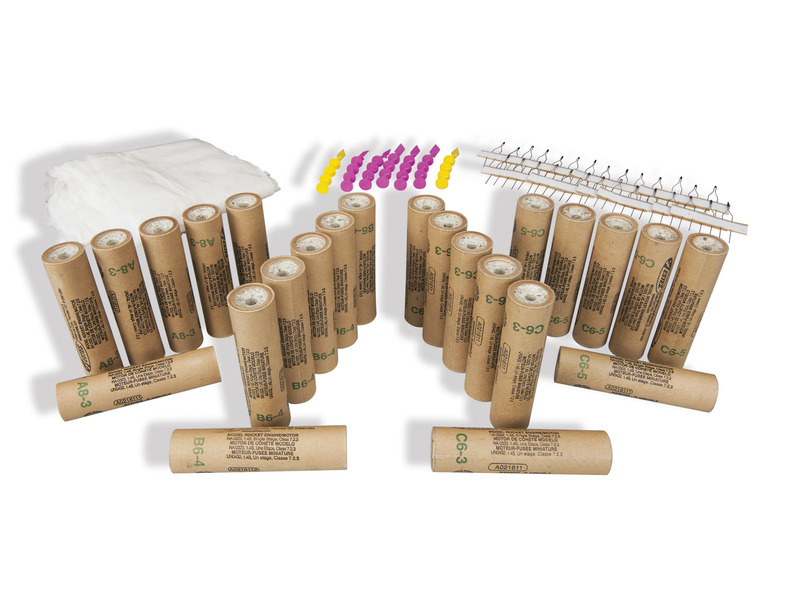 A bargain bundle of motors, igniters and wadding. You get six motors (the equivalent of two packs each) of A8-3, B6-4, C6-3 and C6-5 motors. You can launch the vast majority of the rockets sold in the Model Rocket Shop with the contents of this bumper box. For a well rounded launch box inventory consider adding A8-0, B6-0 and C6-0 for small saucers and booster stages, B4-2 or B6-2 for gliders, A8-5, B6-6 and C6-7 for sleek rockets on high altitude missions or the upper stages of multi-stage rockets. The Blast Off Flight Pack cannot be posted - it must be sent by courier.